Tirupur: The state government released water from Amaravathi dam on Sunday for irrigation in Tirupur and Karur districts. It will cover 47,117 acres of agricultural lands in both Tirupur and Karur districts for 30 days. 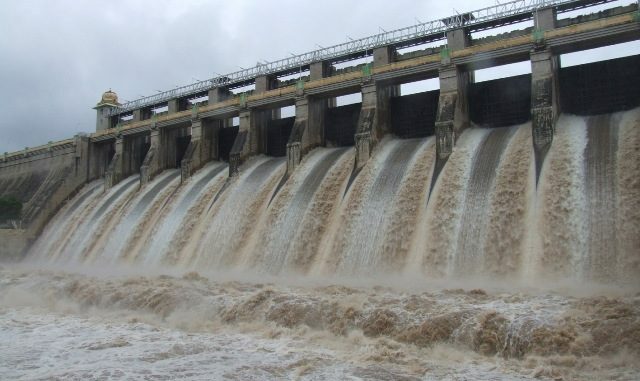 As the district received good rainfall this season, the water level in the Amaravathi dam in Udumalpet taluk reached 83 feet of the total 90 feet. The farmers registered under both old and new ayacut irrigation schemes were continuously requesting the government to release the water soon. On Sunday, animal husbandry minister Udumalai K Radhakrishnan along with other MLAs released the water from the dam. As per public works department (PWD) records, 1,923 mcft (million cubic ft) water will be covering 8,416 acres in Tirupur district and 13,451 acres in Karur district under the old ayacut irrigation scheme. In case of new ayacut scheme, 836 mcft will cover 25,250 acres including 1,781 acres in Udumalpet, 11,469 acres in Madathukulam and 12,000 acres in Dharapuram taluks in Tirupur district.